Few things give us as much joy as sharing our love for sea animals! 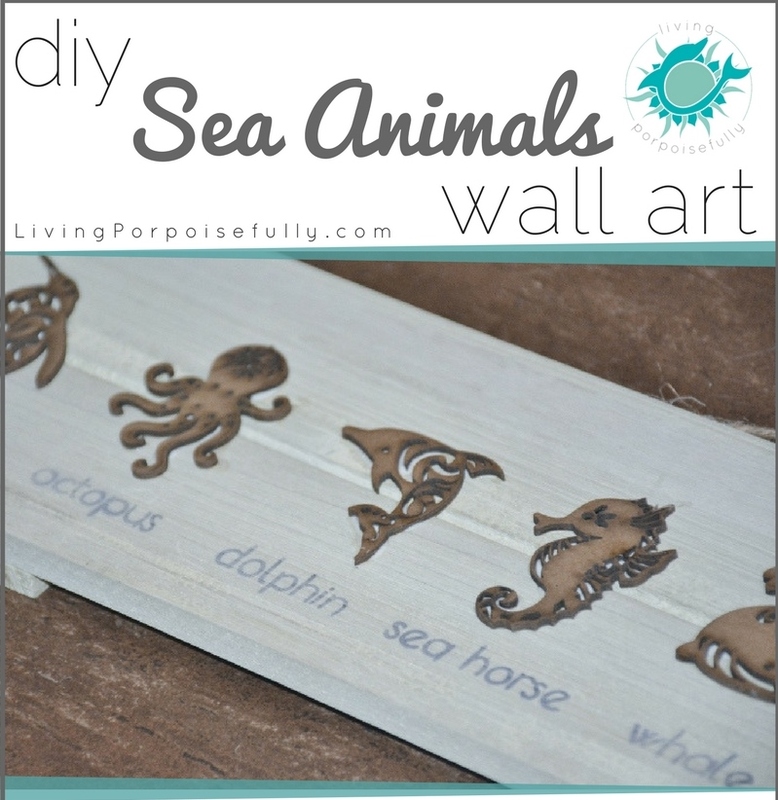 So we’ve made a DIY wall art with whimsical sea animals as the focal point. It’s a timeless, all-ages treat that’s perfect for a kid’s room, classroom, or beach room in your home. There’s no time too soon to teach kids about ocean animals! For our latest DIY inspiration, we wanted to bring the magic of sea life to the 3-year-old granddaughter of our dear friends. As a room decoration, it’s got an added bonus of being a constant reminder of the beautiful and wondrous life that makes the ocean its home. Of course, we’re pairing the gift with our latest children’s book, Zale’s Tales: The Ocean Seeker. It’s filled with more sea creatures galore that will make for a deeper learning experience, all in the form of a hide-and-seek adventure! So get ready for a sweet DIY. Oh, and if you’re worried about your penmanship, kiss those worries goodbye: we’ve got a special trick for making lettering come out just right. If you make your own, make sure you flip the text so it’s backwards! Want to know how? Click here. **Tip: Lay out all of the names first underneath the animals to space it to allow for enough room. Ours took a minute or so to fully transfer, and you can peek to see if the ink is transferring by holding one side down with your finger. On some (especially ones that I hadn’t shaken the pen), the ink came out lighter, and we found that more ironing time after peeking helped darken it a bit.